It’s official. The Crew will remain in Columbus. According to their official Twitter account, #SavetheCrew has done what they set out to do. Rumors began swirling early Friday morning that the team would remain, but details were fuzzy. Although #SaveTheCrew confirmed that the team had been saved, they didn’t offer up any further information. Rumors were swirling that Jimmy Haslam, CEO of the Pilot Flying J truck and owner of the Cleveland Browns, bought an MLS expansion and the history and branding of the Columbus Crew SC, allowing it to remain here. A fake account for sportswriter Grant Wahl even caused a kerfuffle on Twitter. According to the real Grant Wahl and Sports Illustrated, the deal is done. “After a year of uncertainty over whether owner Anthony Precourt would move the Crew from Columbus to Austin, Texas, MLS released a statement on Friday announcing that the Knoxville-based family of Cleveland Browns owner Jimmy Haslam and a Columbus-based investor group led by Pete Edwards, Jr., has joined together to move toward buying the Crew and keeping the team in Columbus. 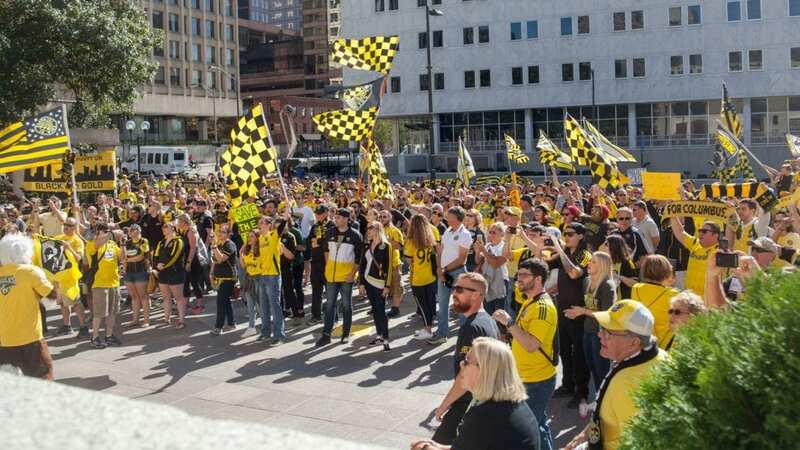 Of course, the reaction amongst fans, especially members of the #SaveTheCrew movement, was ecstatic. Fans were celebrating at Endeavor Brewing Co prior to the announcement when they were joined by Crew SC Defender Josh Williams. The whole city is waiting (not so) patiently for the big announcement. Formal announcement expected in the near future. Stay tuned to official league channels for more information.